We selected lovely Thai phrases that could help express your feelings. Learn these romantic Thai phrases to win over that special someone in your life. 2. I have got a crush on you. 3. I can’t stop thinking about you. 4. I like you more than friend. I have a lot of friend already. 6. I am the luckiest man on earth. 7. I am lucky to have met you. kun rák pŏm mâak kâe-năi? 9. We will love each other till death do us part. 10. I can’t wait to be with you again. รอไม่ไหวแล้ว raw mâi wăi láew = This is an expression for ‘I can’t wait’. สุขสันต์วันวานเลนไทน์ค่ะ sùk săn wan waa-len-taai kâ = Happy Valentine’s Day! Greetings Khun Pear !! Love your cute and informative videos, as always ! I was wondering though what ever happened to Khun Mod ?? Have not seen her make any videos in awhile. I hope she has not retired na krop ! Thank you for doing this. I was looking for love phrases to say to my new Thai girlfriend and these are perfect! Thank you Mod you are awesome, if wasn’t for you i couldn’t contact with my friend in Thailand. Sawatdii ka Elior, thank you for your comment. I am happy to hear that our lessons are useful for you. Keep practicing. I am a french man and I live in Thailand since 4 years already. With your lessons I can improve my Thai and my English language also. It’s very interesting and important for us farang to learn about thai people and your culture. I just wanted to thank you for all the videos you share , very good job. Thanks for all your vids. 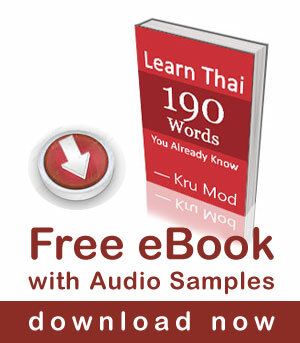 I m finding learning Thai pretty tough going but your lessons are definitely helping. Would be useful to do some alphabet stuff at some point if you can? Ta. 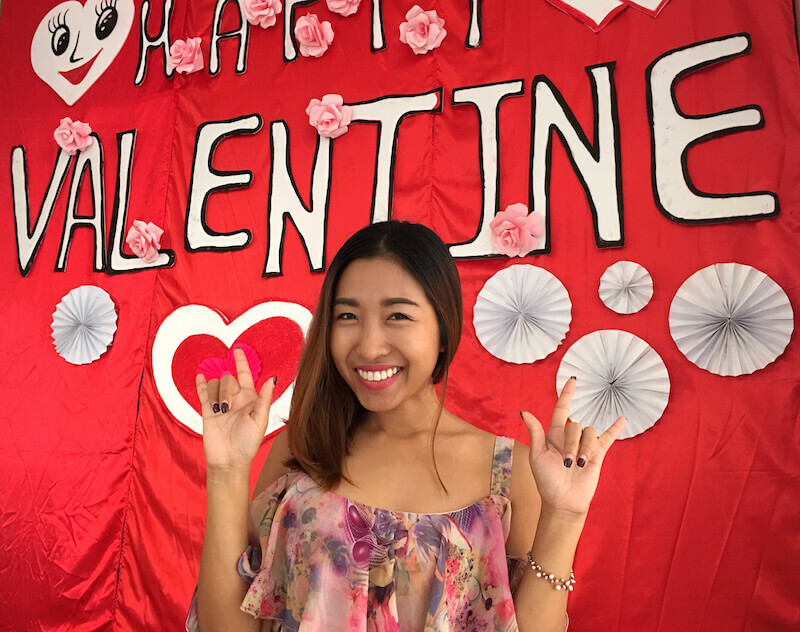 If you are going to copy an paste “Happy Valentine’s Day” to your girlfriend, don’t forget to remove the ค่ะ from the end of that phrase under the photo of the delightful looking young lady. You’ve done your part, Mod. Now it’s up to me to find someone in the next 24 hours to use these with. Many thanks again for a real-world video.